We have long advocated controlling the installation of Windows updates and not having any updates "install automatically" which is the normal Microsoft default. In addition, the normal setting for "recommend updates" is to behave the same as "important" updates. Earlier this year Microsoft changed the status of the Windows 10 update to "recommended" which means that now suddenly Windows 7 and Windows 8 users are suddenly finding their PC's having upgraded themselves to Windows 10 without any advance notification*. This is because of the default Windows update settings. 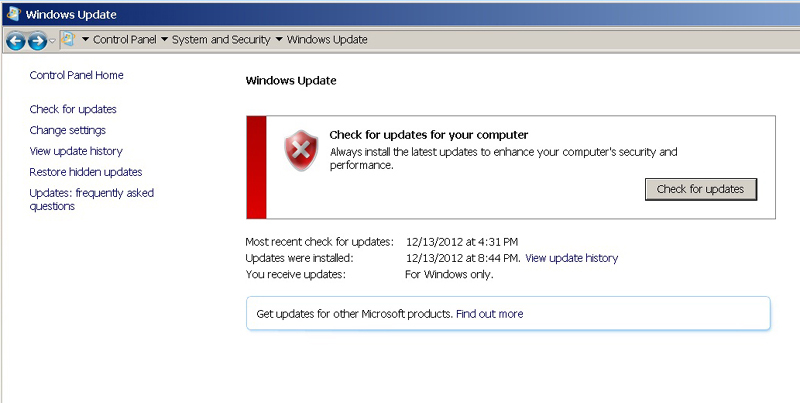 You can however prevent this from occurring automatically and without your specifically choosing to update. To control your Windows updates, in Windows 7, go to Start > Control Panel > System and Security > Windows Update. On the left side, click on Change Settings. In Windows 8.1, a similar procedure is available or via the PC Settings "app" you can go to Settings > Update and recovery > Windows update and then make the changes. Again at the very least, uncheck the Recommended updates check box, and then be sure to apply those changes. Once this is done you can also right click on any downloaded Windows 10 update and choose to hide it so that it is not accidentally installed. Since the free update to Windows 10 for Win 7 and 8 users will end in July, this issue will to some degree then go away; however, we would still strongly recommend that end users take control of how and when their PC's are updated. And, we greatly hope that Microsoft will provide that ability ultimately in Windows 10 as well, which is one of its biggest drawbacks. Automatic updates potentially create all sorts of system stability and usability issues that can only be properly managed and monitored by the end user. No operating system update should ever be forced. This does not necessarily mean that no Windows related configuration issues might have to be dealt with. An operating system change is a major update, and the Windows 10 update in some cases may make temporarily undesirable changes on its own.